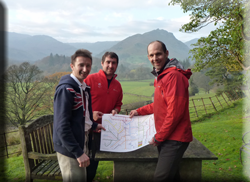 I huge thank you goes to Peter Burgess, the designer of the Tubular Fells map for his donation of £6000 to the Fix the Fells Partnership. Peter kindly donates £1 from every sale of his map to help our work on the Fells of the Lake District. 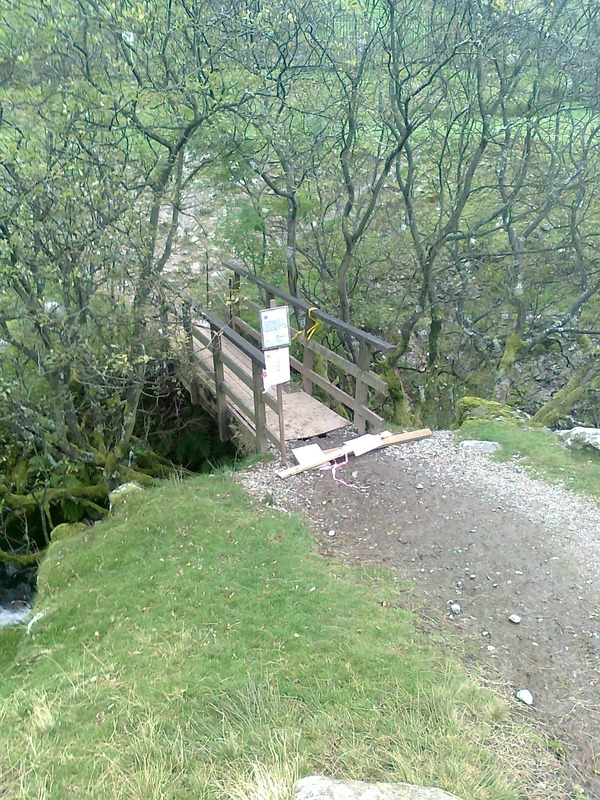 His money will be used to help maintain footpaths suffering erosion and make improvement's to this great landscape. 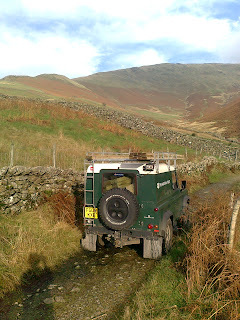 Please click on the link or the Tubular fells map to read more information about Peter, his map and how he got together with the National Trust. 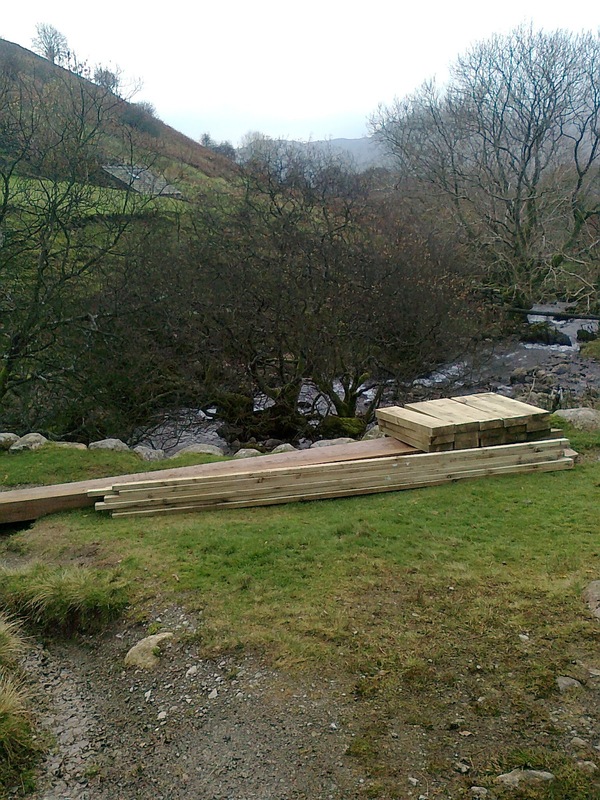 The last few days we have been transporting the materials needed to replace the damaged bridge on the Tongue gill path from Grasmere. 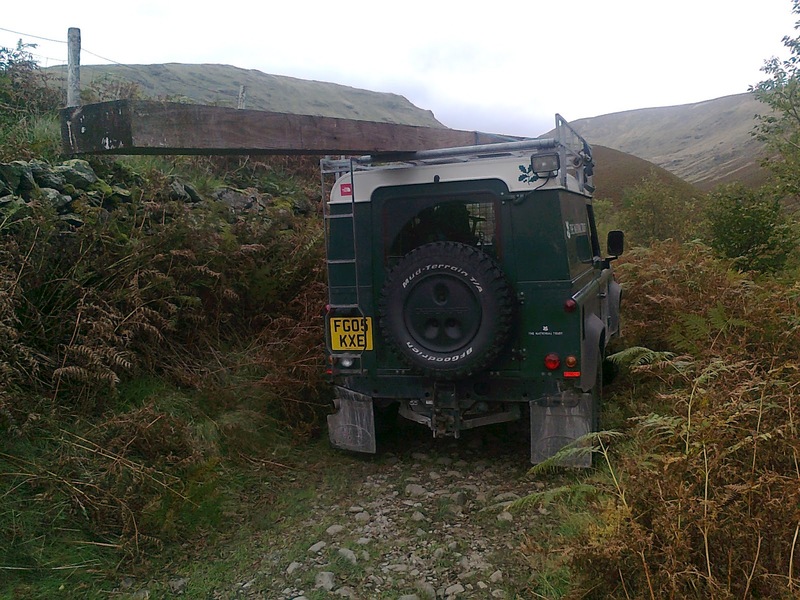 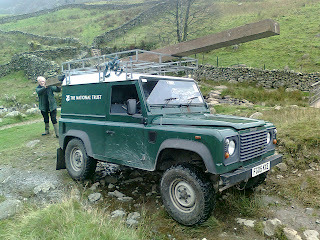 We start by using the Land Rovers off road capabilities to move the beams up the path. Once the beams are at there destination we return to the road to collect the rest of the materials, treads, uprights and hand rails. Work will commence in the next few weeks to take down the old bridge and rebuild with new timbers. 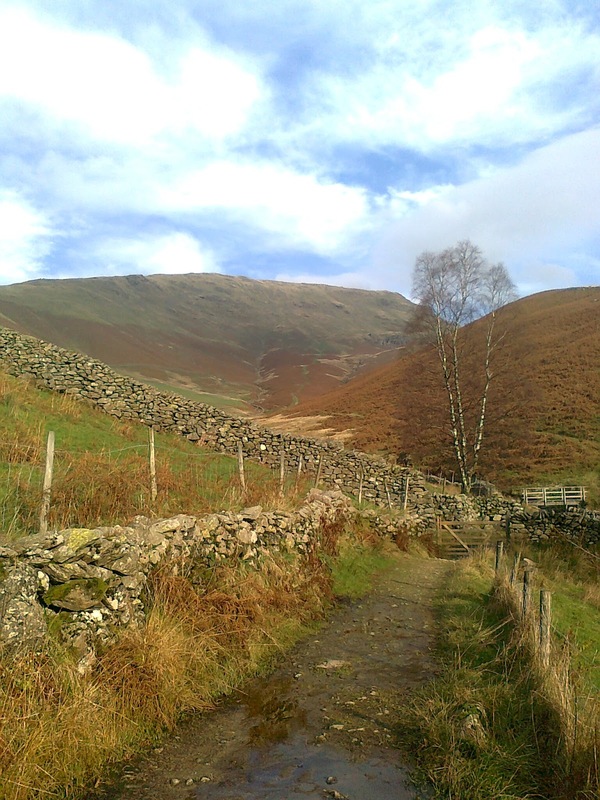 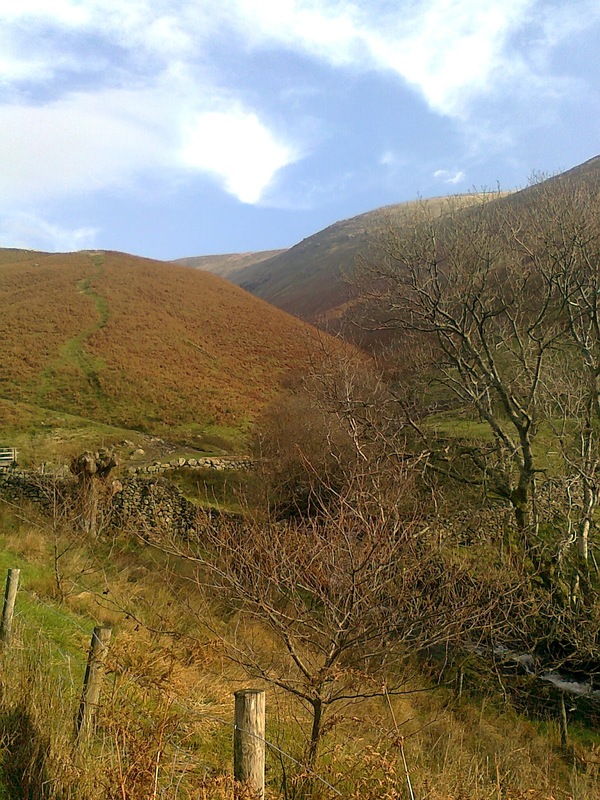 The Tongue Gill route is a popular path leading to Seat Sandal, Grisedale tarn and up on to Fairfield. As you walk and look back the views across to Helm Crag and Gibson Knott are Fantastic.